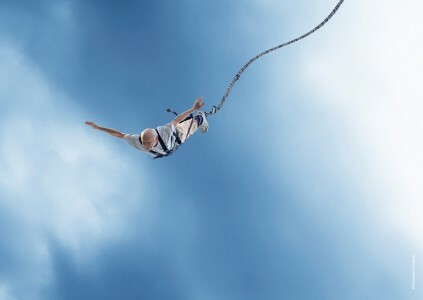 Helmut Wirz discovered bungee-jumping at age 75 and held the record as the oldest bungee jumper for many years. Age is just a number and there is no typical older person. Like Helmut Wirz, some of us can participate in extreme sports at older ages. Yet negative attitudes about ageing and older people seriously limit older adults’ opportunities. Those who are #YearsAhead in age make important contributions to families, communities and societies. How we experience older age depends on our health, our environment and how we perceive the #YearsAhead. Help challenge the stereotypes that limit our freedom as we age to live life as we choose. Here’s how. Post a photo of yourself, or of someone you know (if they give permission) embracing older age or challenging common misconceptions about ageing, on Instagram or Twitter, using the hashtag #YearsAhead. We will be posting our favourites on the @WorldHealthOrganization Instagram account.